I’ve missed the favourites boat for september (it seems odd if you’re talking about things you loved in the last month a third into the new one… just me? Okay then), but this post wouldn’t really fit into a ~monthly favourites~ type thing, seeing as I’ve been pretty attached to a lot of what I mention for a good while. I just… currently love them still? Am a tad bit addicted, to say the least. I do love it when bloggers talk about things they love, especially if they’re not things that they mention often, or where they get their inspiration from. It’s a great thing to relate to, and I tend to find a lot of new things when I read posts that don’t require me to spend money. Or a lot of things I bookmark for future reference, like DIY’s, organisational tips, or seasonal posts that are so, totally not relevant when I find them, but will come in handy in the future. 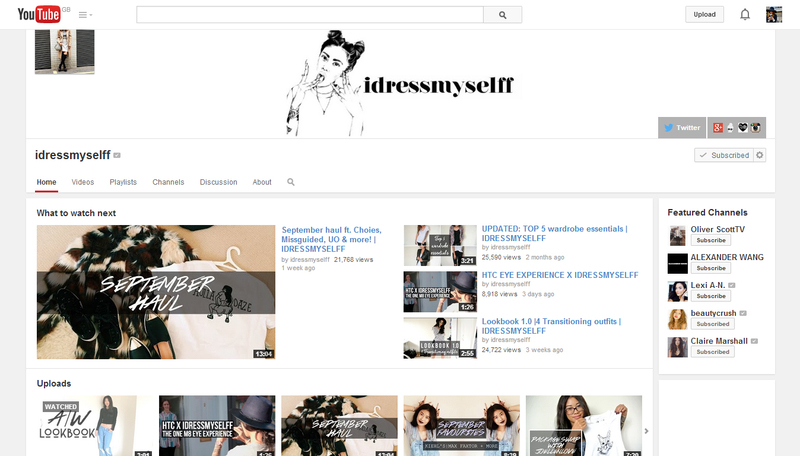 I really enjoy the videos and blogposts that idressmyselff creates. I relate to her style, and a lot of the outfits she wears are absolutely stunning. My favourite videos are definitely her lookbooks, with her ‘what did I wear’ s and ‘outfit inspirations’ coming in 2nd and 3rd. She’s very much more fashion orientated, so there are so many outfit videos to watch. I thoroughly recommend a binge. Go on. go onnnn. Life goal: edit videos like Claire Marshall. 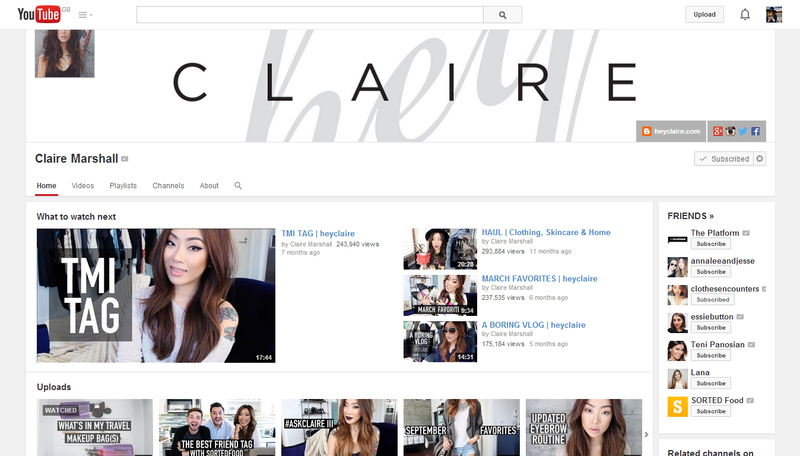 If you’ve not seen or heard about Claire Marshall, a.k.a heyclaire, where have you beeeeeen? 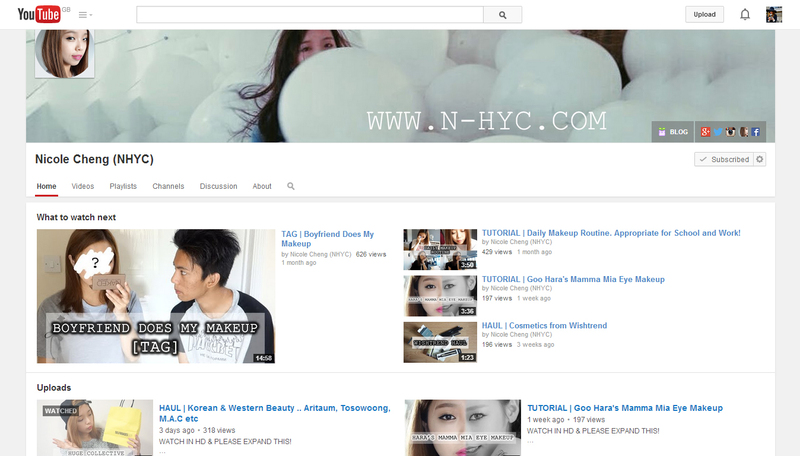 She’s one of my favourite youtubers, and I absolutely love the fact she puts so much effort into her youtube videos. Her blogs fallen a little bit by the wayside, but if you take a look at her most recent video, – what’s in her travel makeup bag – that fact is entirely forgivable. I love her outfit videos, and I also find her beauty videos really informative — she is a certified makeup artist, after all. Girl knows what she’s on about. or the non-guru youtube channels that I binge watch. Guilty youtube pleasure: watching copious amounts of dance covers and practice videos. Especially from St.319’s. This Vietnamese troupe puts so much effort into recreating kpop choreography it makes me simultaneously scared and awed. One of their members, Min, has launched her singing career off the back of this, which just shows how talented the group are, to be honest. 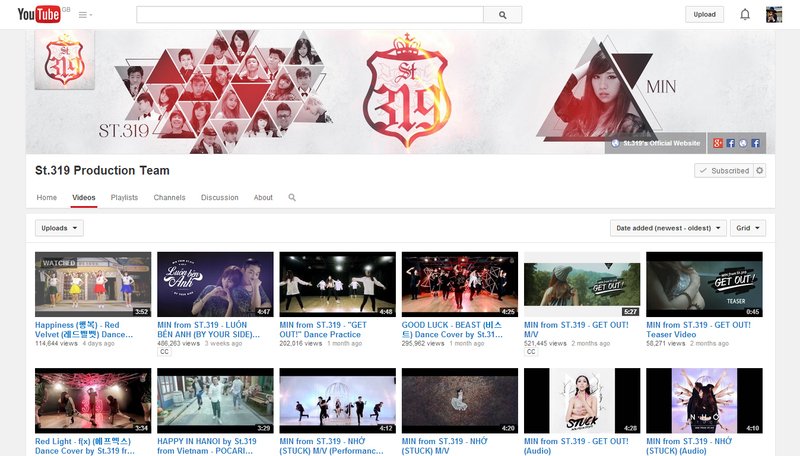 They don’t just do kpop dance covers though, there’s other original content and choreography, plus a couple of practice videos. 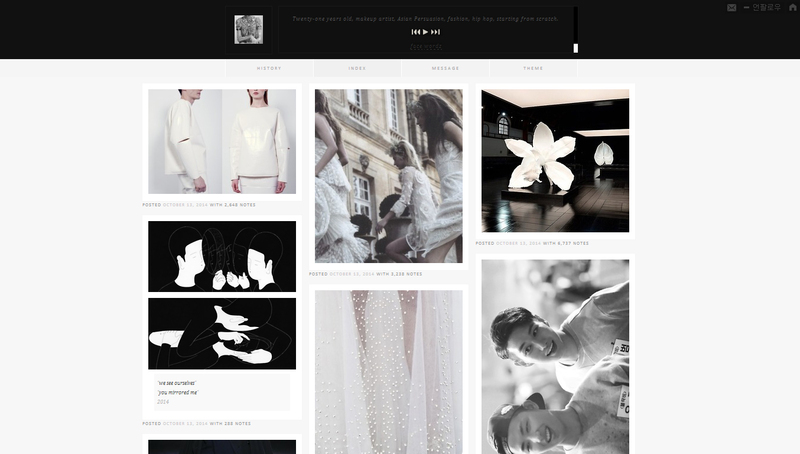 The blogs I love that don’t have a youtube … yet. 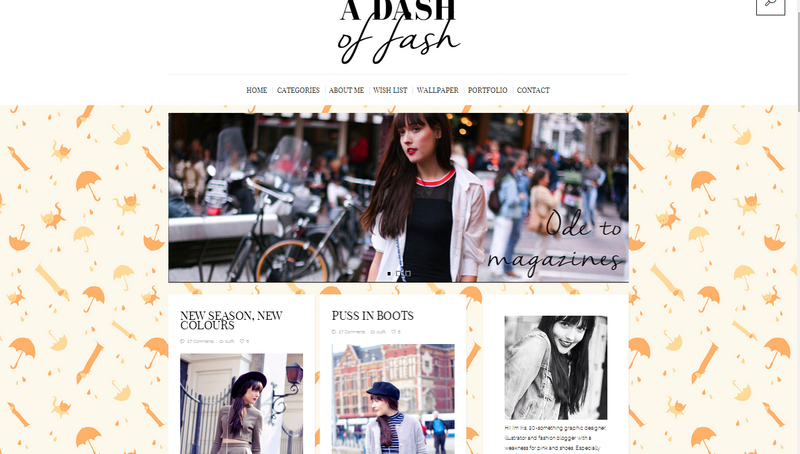 I love Iris’s posts, be it fashion, travel or her little blogging tips. What she writes is a joy to read and her anecdotes and details around her outfit posts are really cute. It’s like chatting with a sister about what to wear on a daily basis. 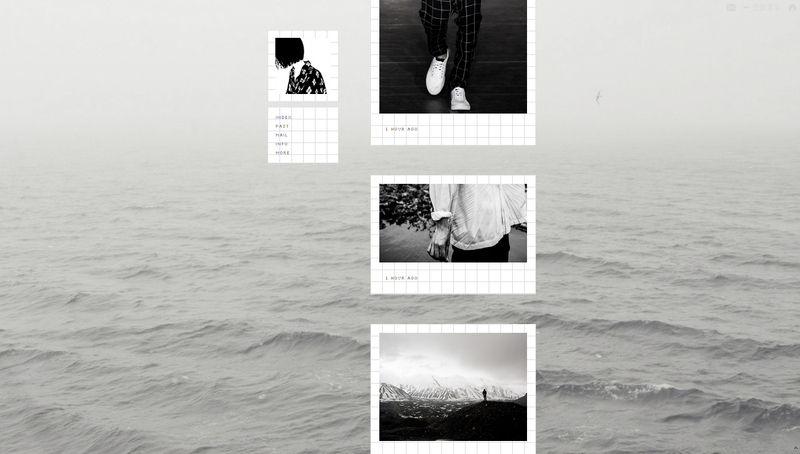 My favourite tumblrs are the clean looking, aesthetic ones, the ones that post the clothes I want in my dream wardrobe, the ones that post the anime I like to watch, and the photos that I want to learn how to take. 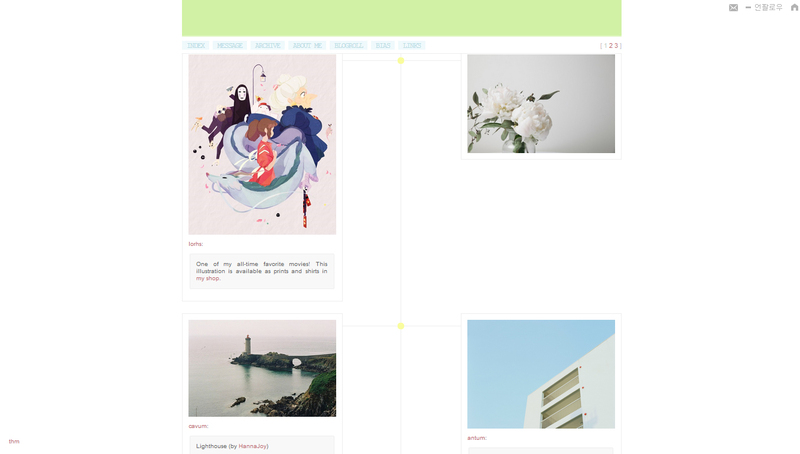 Also the fandom blogs, but they’re less ~inspiring~ and more for my own gratification, really. For other things that inspire me in design work, resources and useful places. 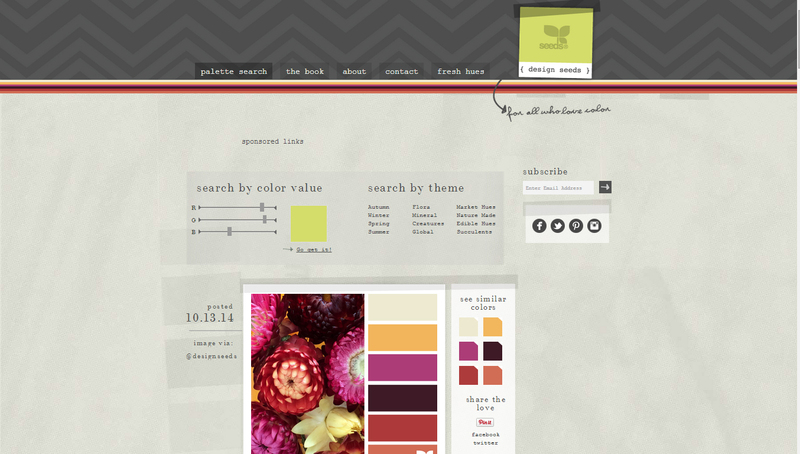 Designs Seeds is a website I can spend forever on if I’m in the right mood. They analyse colour palettes from images, and it’s such a great way to find colour schemes and colour inspiration for anything. 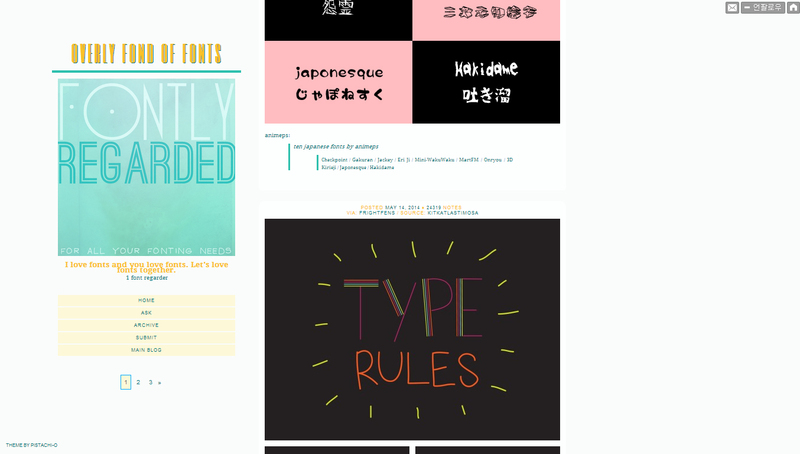 Another tumblr blog, but one that I go to a lot for resource purposes. There are a whole host of fonts to look through, and a couple of useful typography-rule posts, to help mix fonts on graphics. Sometimes I also get inspiration for DIY’s from etsy or NotOntheHighStreet.com.